Want to know what’s in style this year for recreation areas in your yard? It is always nice to know what other people value to make sure you are comfortable with the changes you are making to your outdoor living space. Each year the American Society of Landscape Architects does a survey to find the leading landscape design trends. While the survey is nationwide, these are all pretty common ideas for backyard recreation here in the Charlotte metro area. 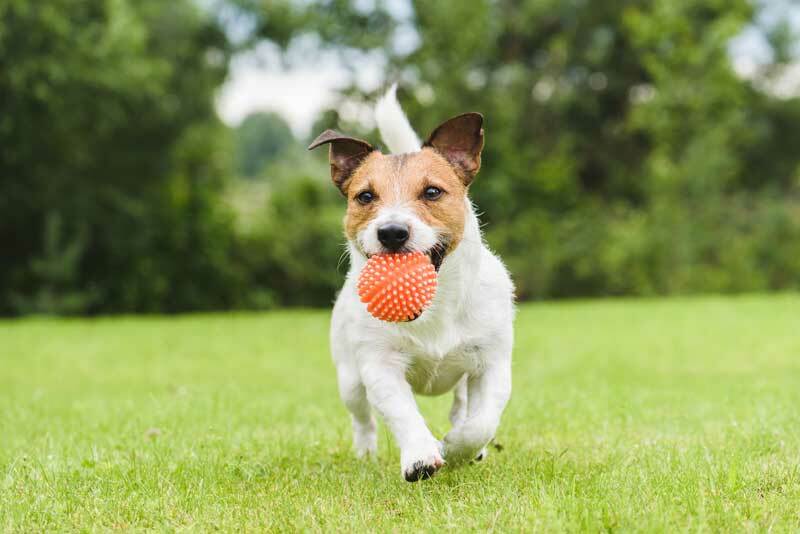 Almost 2/3 of all backyard landscape plans include some type of recreation area for a dog or dogs. Often this is just some good old fashioned grass areas for dogs to enjoy. Other times it can be a dedicated dog run or even a dog house for shade. More than half of plans include some type of outdoor recreation area for people. That could include a grassy area for all types of yard games or something like the playground that we incorporated into the backyard landscaping design plan along with patio and fire pit elements when we created the backyard living space pictured above. Maybe a bit of a surprise at number three is the bocce court. But the sport has been rising in popularity over the past decade. The United States Bocce Federation says there are over 25 million bocce enthusiasts in the United States. Bocce courts do take up some space, but their long and narrow shape makes can sometimes be helpful in fitting them into a landscaping plan. 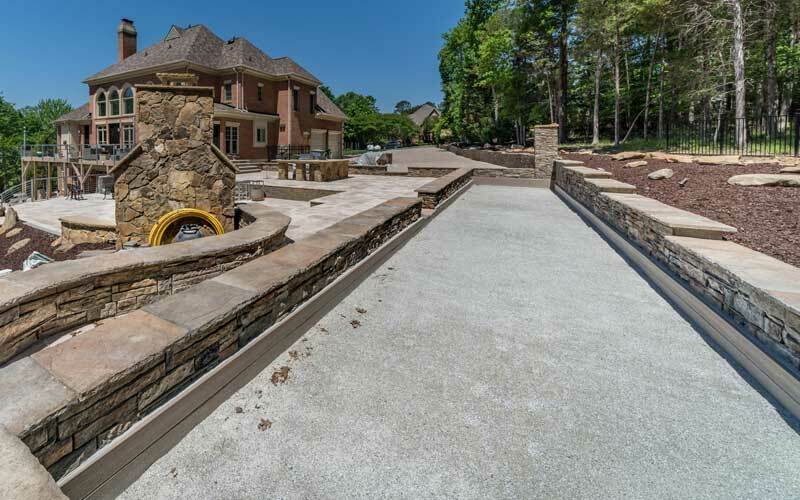 We built the court, stone walls and hardscapes around it at a Charlotte area home. This particular bocce court is made from crushed oyster shells, brought in from California. No surprise here. Swimming pools remain a popular recreation and entertainment element in backyard living. 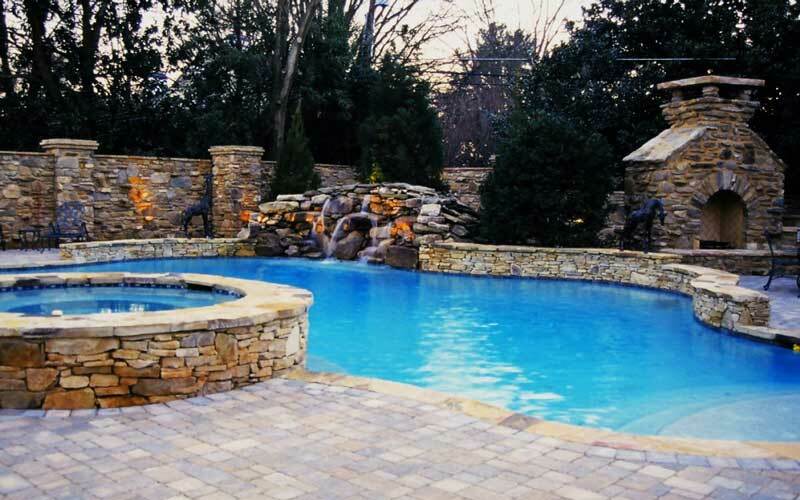 The pool pictured above shows off how a pool can be dressed up with a paver deck, stone walls and you can also see an outdoor fireplace on the right side behind the pool. 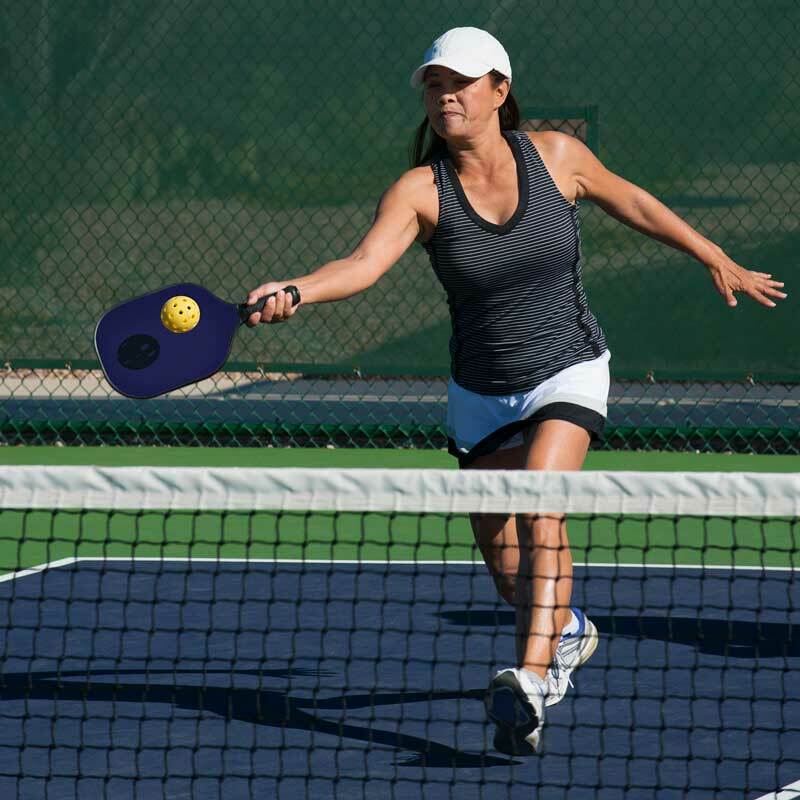 Pickleball is becoming more popular around the country. This small-scale version of tennis is growing rapidly in the Charlotte area, as pointed out by a recent article in the Union County Weekly. The smaller size of the court (about 1/3 of a tennis court) makes it easier to fit in backyard living plans than a tennis court. Want to get started on a landscaping plan? We design and build what we design in the Charlotte metro area.